The ball is rolling at the Ciutat Deportiva Joan Gamper in Sant Joan Despí with the tournament’s first day of matches taking place today. 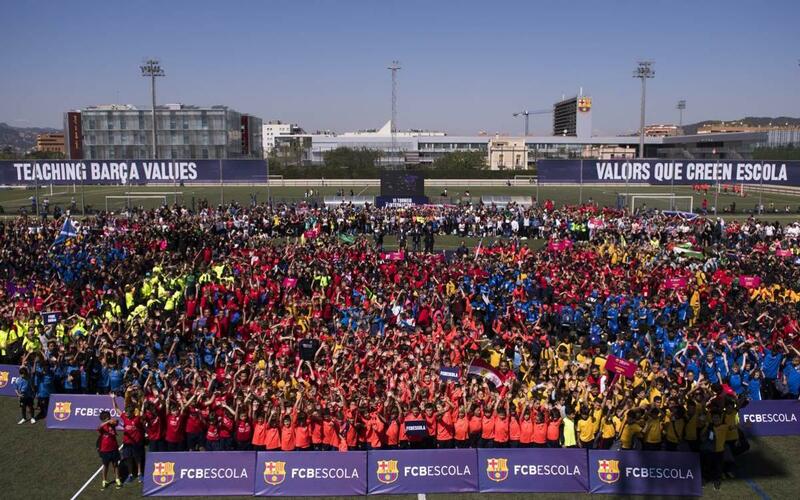 Over 1,500 boys and girls aged between six and fourteen from 20 different countries and 33 different FCBEscoles and FCBCamps were present to kick-start the largest tournament hosted by FCBEscola so far. The tournament will go on until Thursday 13 April and participation has increased 25% compared to last year. The day started with a packed and colourful opening ceremony presided over by FC Barcelona Director, Pau Vilanova; the FCBEscola project Director, Franc Carbó; and FCBEscola’s global ambassador, ex-Barça player and FCB Legend, José Edmílson. All three of them emphasised the importance of the project for the Club and they thanked the coaching staff around the world, the parents who believe in the project and the players who are a part of the FCBEscola family. On Thursday 13 April, the competition will come to an end with the finals for the different age groups (Under-8, Under-10, Under-12 and Under-14) at the Miniestadi. First team player Gerard Piqué will hand out the trophies to the four winners of the tournament’s sixth edition.